On Wednesday night over 770 cupcake lovers flocked to the Center of the Arts at the Armory in Somerville for the second annual CupcakeCamp Boston. Twenty local bakeries and fifty amateur bakers from around the Greater Boston area came out to peddle their delicious wares. 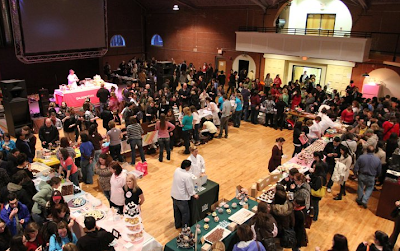 Event founder Elizabeth Ginsburg put it simply: “CupcakeCamp Boston is a free and open gathering of cupcake enthusiasts,” she said. 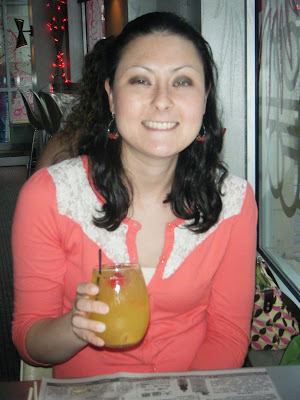 A blogger for FreeFoodBoston, Ginsburg first experienced CupcakeCamp in New York City in 2009 and decided she wanted to bring the event to Boston. Camps are held in various cities across the country, and anyone can volunteer to organize one for their community. Today I'm going to introduce another one of the professional bakers who will be attending Cupcake Camp. 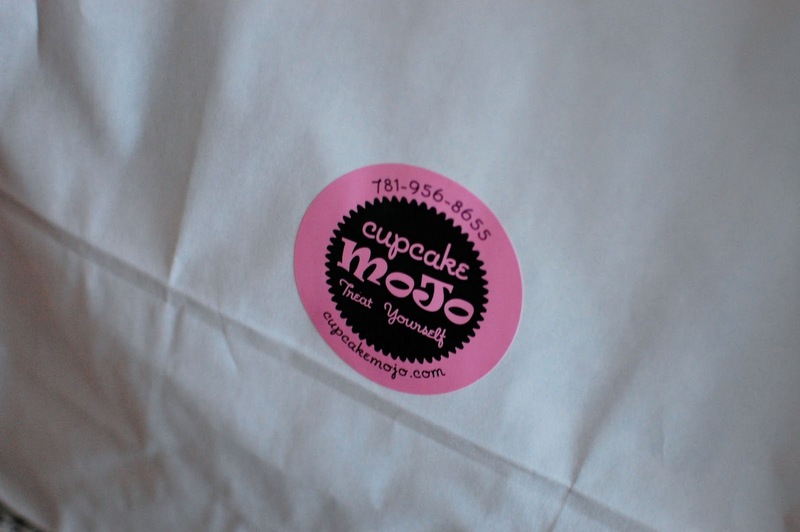 Today's Meet the Bakers feature will highlight Cupcake Mojo. Cupcake Mojo is a mother-daugther duo who call themselves Cupcake Queens who are obsessed with cupcakes. 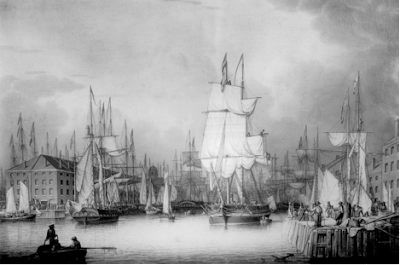 They are from Weymouth, MA and are hoping to open a shop soon. 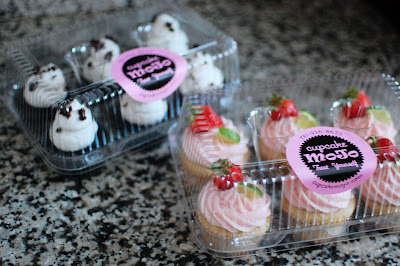 As I mentioned, Cupcake Mojo is a family operation. Even their name has some meaning. The initials CM for Cupcake Mojo just happen to be the same as their names, Christina and Maureen. 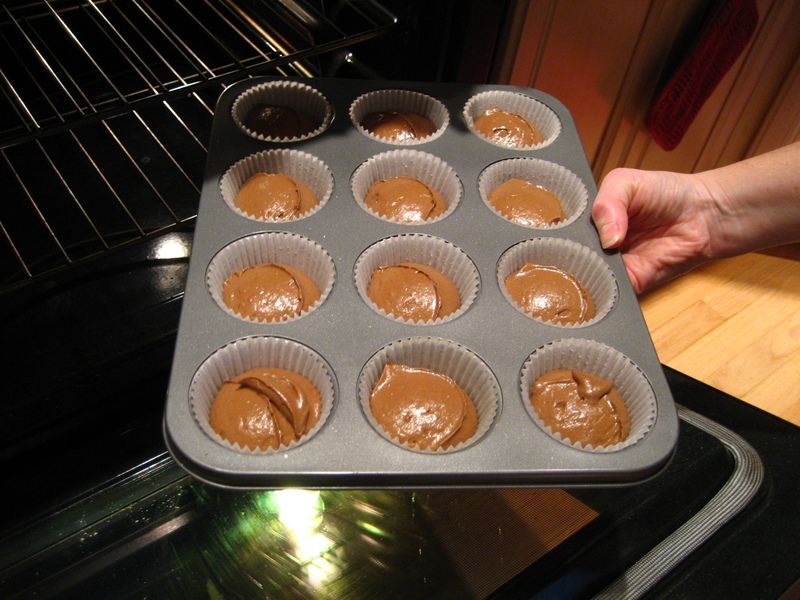 CM supports local events and charities in need and love the joy baking cupcakes brings to people. I had the opportunity to taste some of their cupcakes. 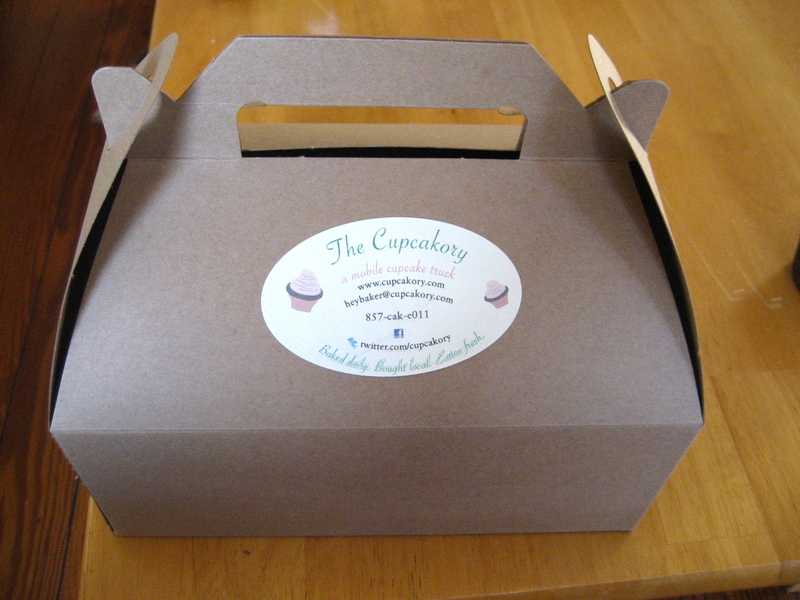 Maureen dropped off some of the Strawberry Margarita and Nana's Whoopie Cakes. Be sure to check out their extensive list of flavors on their website. The cupcakes came in a white bag with a Cupcake Mojo sticker on it. The handles were tied together with a few pieces of different colored ribbon. I was impressed with the packaging. 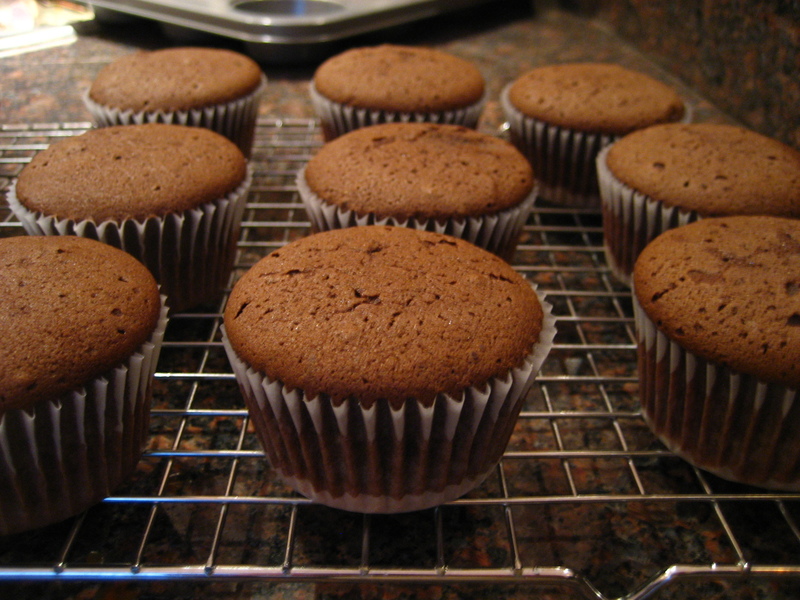 Once I took the cupcake containers out of the bag, I found two clear plastic containers of 6 cupcakes each. 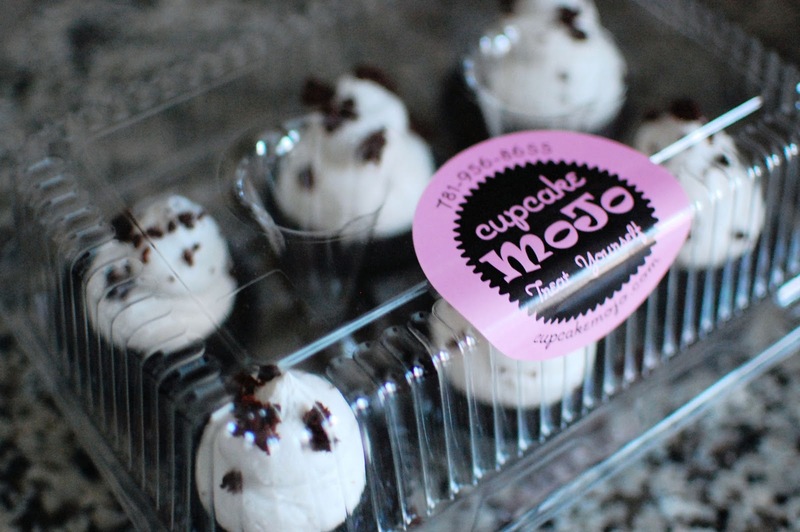 Each container was sealed with another Cupcake Mojo sticker. I like the clear containers because you can see what you're getting in to. My mom and I headed out to dinner shortly after Maureen dropped off the cupcakes. We didn't end up tasting the cupcakes until the next day. Since the cupcakes sat out on the counter, the strawberry margarita frosting melted a little bit. It was still delicious. My mom and I sat down to try the cupcakes and we were both really impressed. 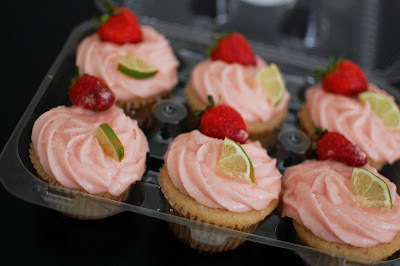 The strawberry margarita cupcake definitely tasted like a margarita. The frosting was great. I could have just eaten that frosting with a spoon! 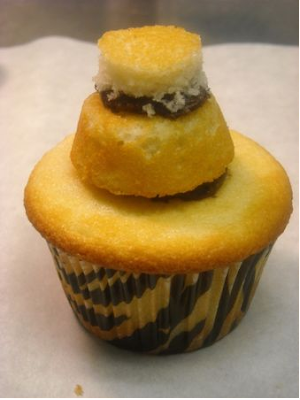 The Nana's whoopie cake had a LOT of frosting on top of a fluffy chocolate cupcake. It was also really tasty. 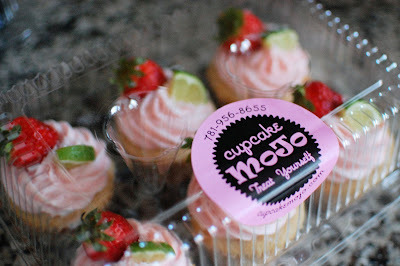 Cupcake Mojo is growing and will cater to specific needs. Check them out at www.cupcakemojo.com, on Twitter @cupcakeMoJo, or on Facebook. 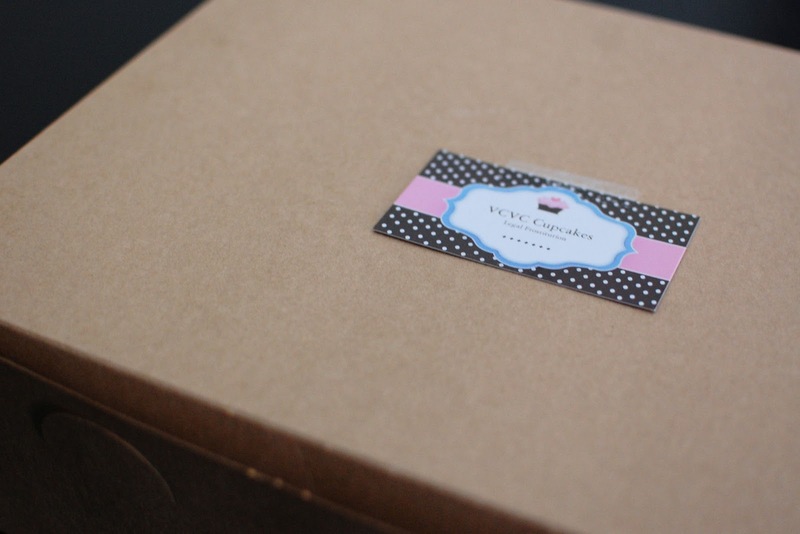 Be sure to check them out at Cupcake Camp on April 13th. 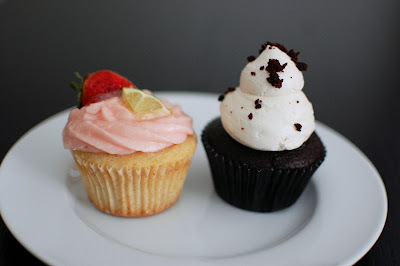 We are very pleased to announce that this year CupcakeCamp Boston is partnering with two wonderful organizations. 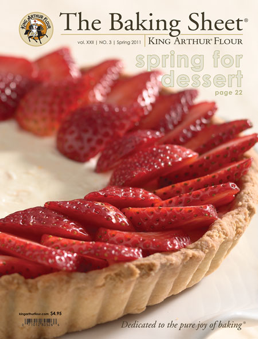 First, are thrilled to have King Arthur Flour as the official sponsor of CupcakeCamp Boston 2011. Any home baker will recognize King Arthur Flour as the gold standard when it comes to not just flours but just about any ingredient needed for baking. 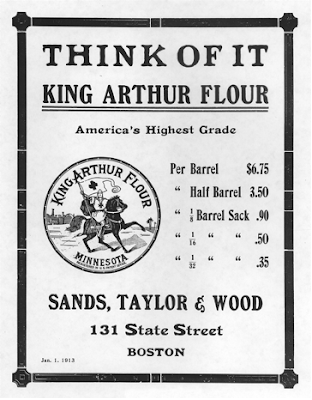 King Arthur Flour is deeply rooted in New England culture and we could not ask for a better partner. 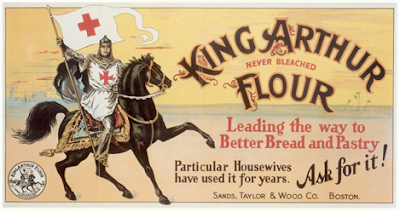 King Arthur Flour will be on hand at the event with tips, treats and prizes. 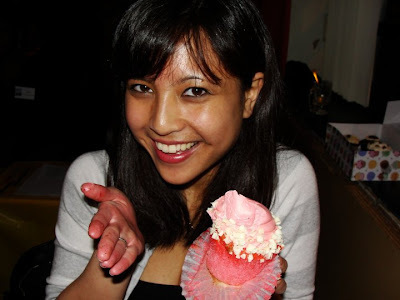 You can look forward to a guest post next week from the folks at King Arthur with more details about the company and what you can expect from them at CupcakeCamp. 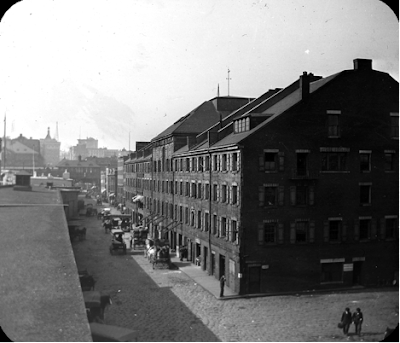 And because we are all about giving back, all proceeds from the event will benefit Lovin' Spoonfuls, an organization that works to collect unused food from Boston restaurants and grocery stores and deliver it to people in need. While CupcakeCamp is a free event, we are asking every attendee to donate $5 to be given to Lovin' Spoonfuls. 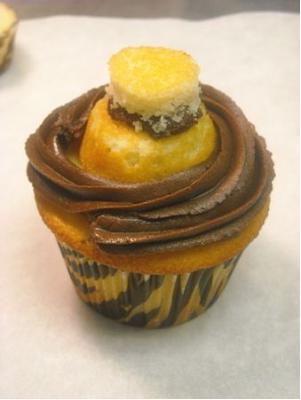 CupcakeCamp is committed to supporting Lovin' Spoonfuls in its mission to eradicate hunger in Massachusetts. A little over a year ago when planning the first CupcakeCamp, I discovered a Boston-based business called Mix Bakery. The creator of Mix Bakery, Kelly, enthusiastically replied that she'd be happy to come, and showed up at the event with the most amazing vanilla cupcakes and s'mores cupcakes. 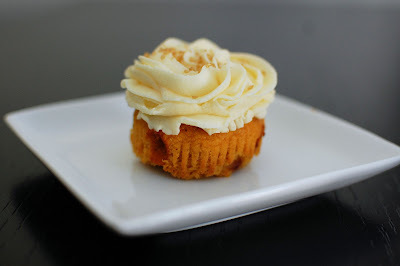 Throughout the year, I've been able to sample more Mix Bakery creations at birthday celebrations and events and each time I try them serves to reaffirm that these are some of the best cupcakes in Boston. 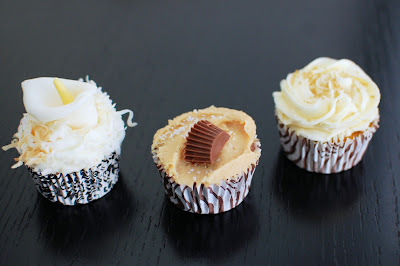 For Kelly's Meet the Baker profile, I thought it would be fun to take a peek behind the scenes and see what goes into making these much-loved cupcakes. 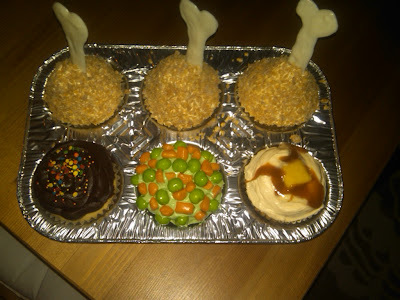 I was thrilled when Kelly agreed to have me spend a morning baking up some cupcakes in her kitchen. 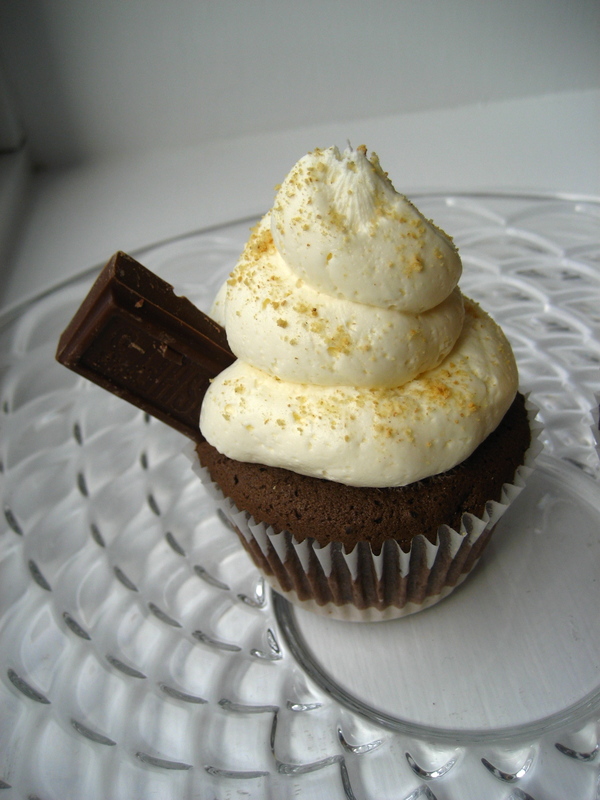 Kelly's classic varieties are delicious, but one my favorites that she makes is the s'mores cupcake, and she set about making that one first. 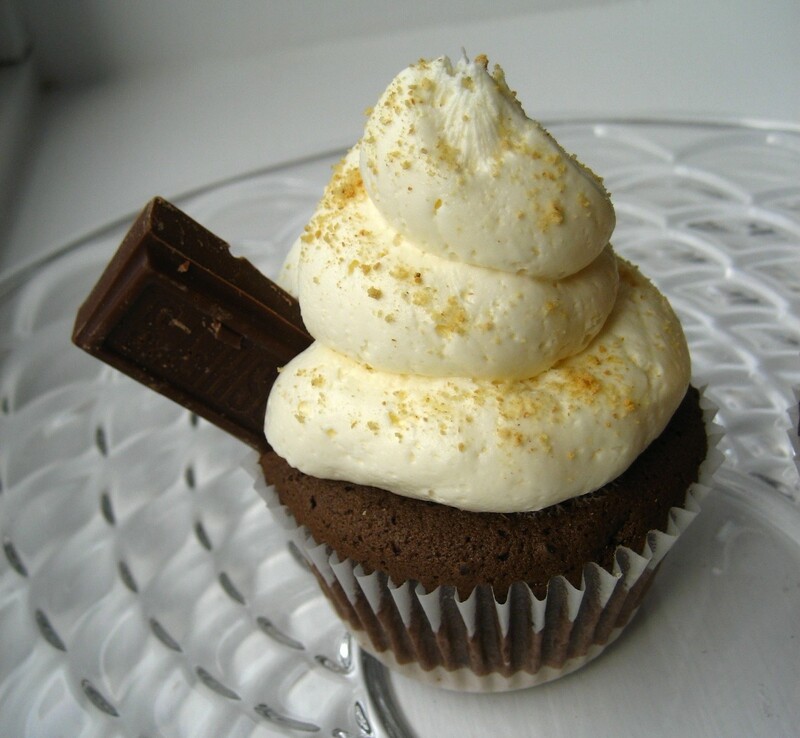 One of the primary reasons I am so obsessed with the s'mores cupcake is because it has a graham cracker crumb crust. 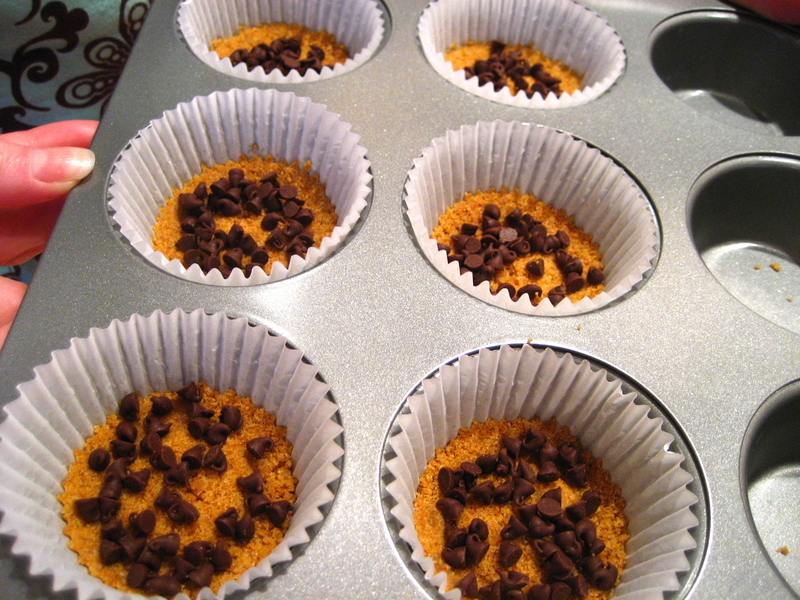 Graham cracker crust are one of the best dessert components ever created, and adding one to a cupcake is sheer genius. 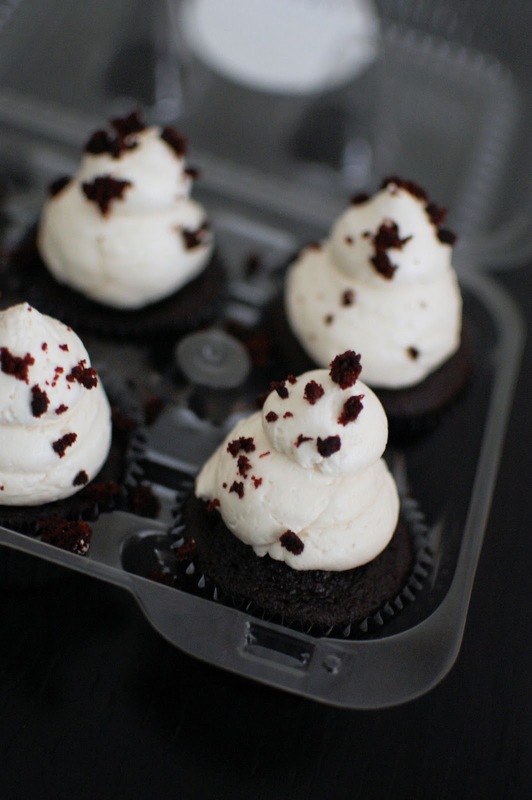 Frosting. 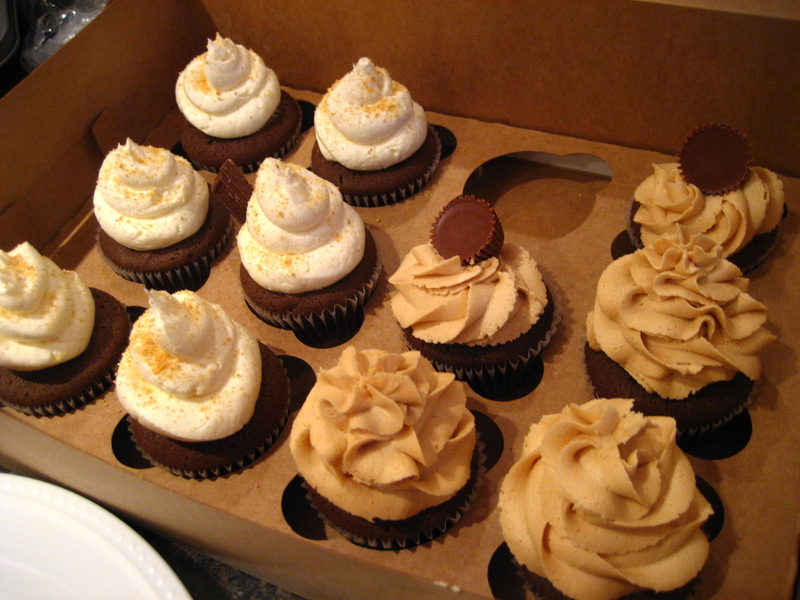 In addition the s'mores, Kelly had on her agenda the peanut butter cup cupcake and a chocolate cupcake with salted caramel buttercream. Kelly and I share an intense love for caramel, especially salted caramel. 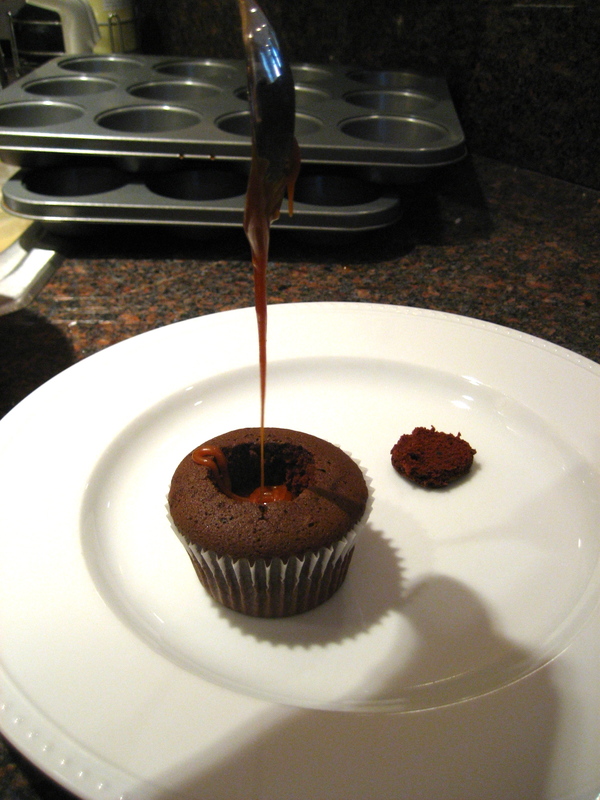 Kelly had prepared a salted caramel sauce earlier in the morning so that it had time to cool. 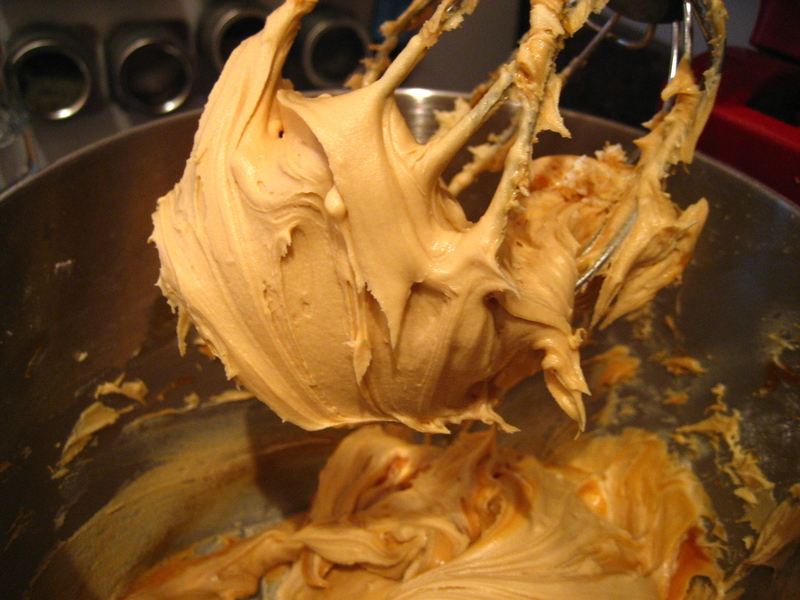 She added the caramel to a traditional buttercream mixture to make the caramel frosting. 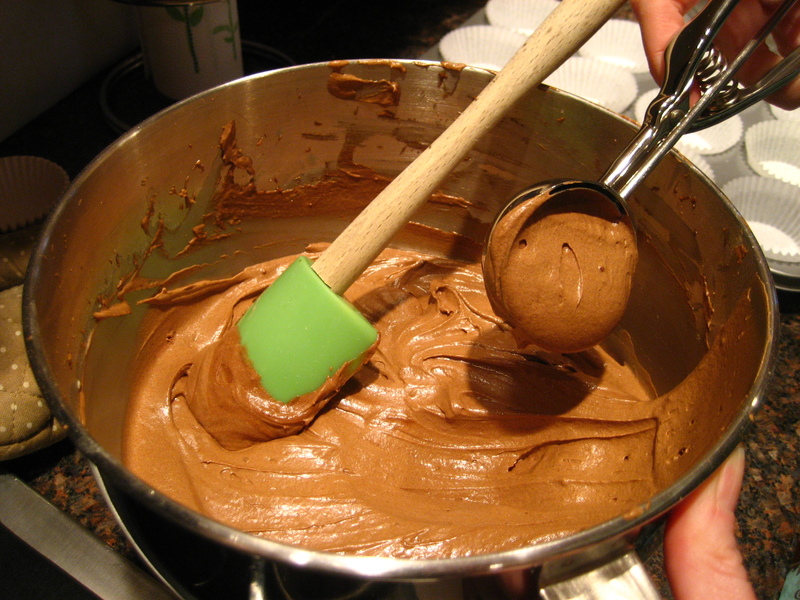 I probably could have eaten a bowl full of this frosting. I may or may not have. 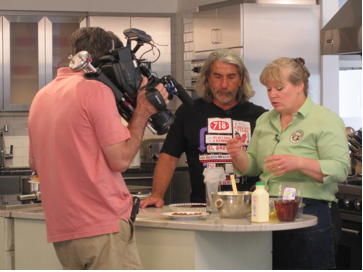 Throughout the morning, I learned several things about Kelly's recipes, techniques and ingredients. 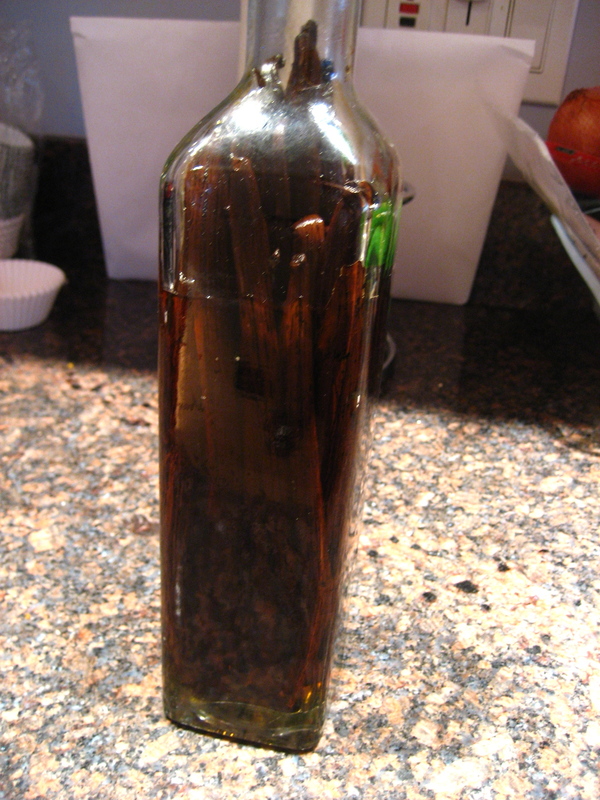 One particularly fun fact: Kelly purchases whole vanilla beans in bulk and makes her own vanilla extract. 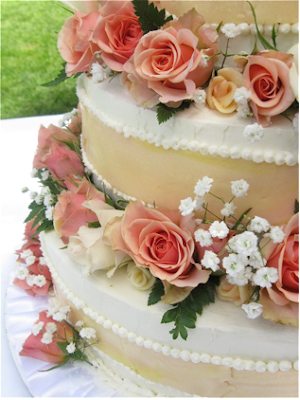 Any baker will know that vanilla is an essential ingredient, and not just in vanilla-flavored desserts. It is small touches like these that make a significant difference in the final product. 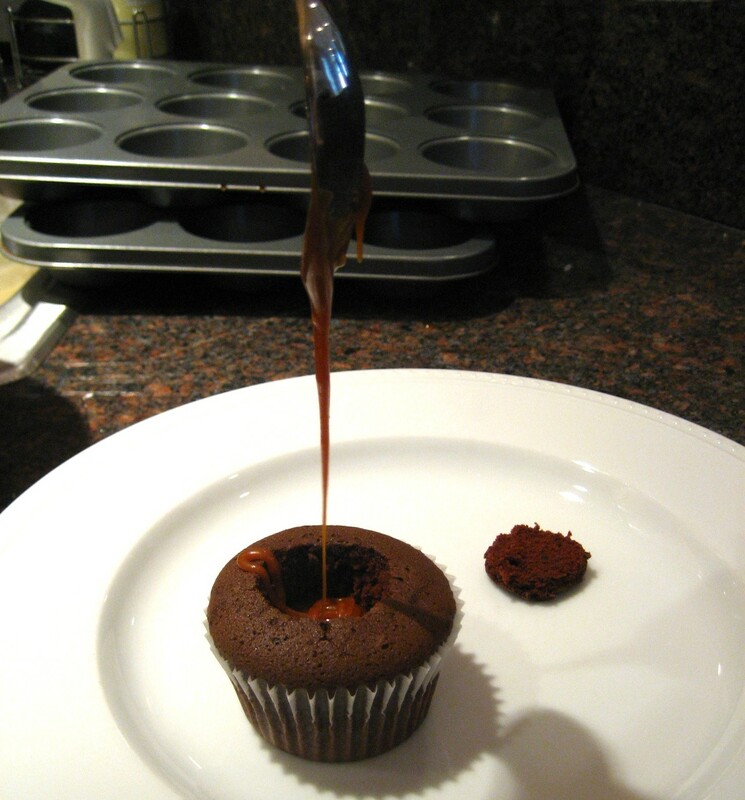 After the cupcakes had cooled, we got to work assembling the three different kinds, but not before having a little fun with experimentation. 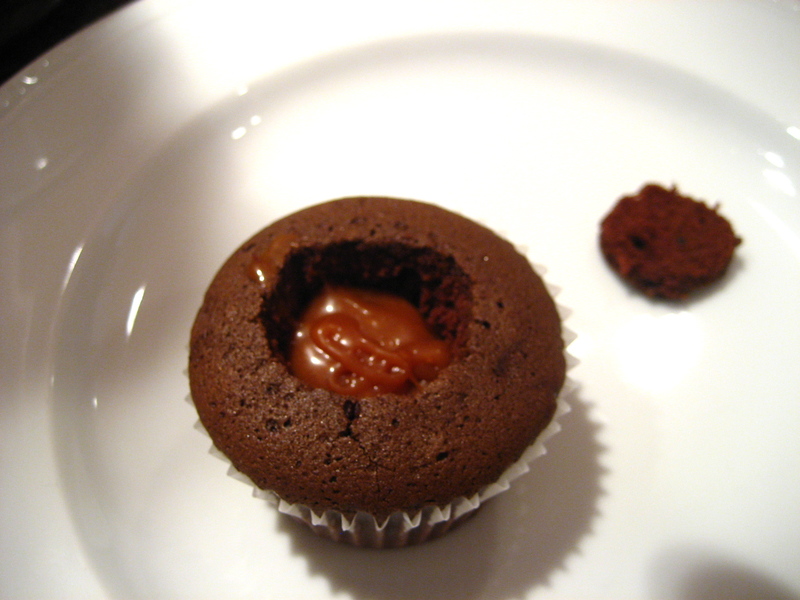 I was curious about filling the cupcakes with caramel. This was a beautiful sight to behold. We filled two cupcakes with the caramel sauce and topped one with the caramel buttercream and one with the fluff frosting that tops the s'mores cupcakes. Verdict? 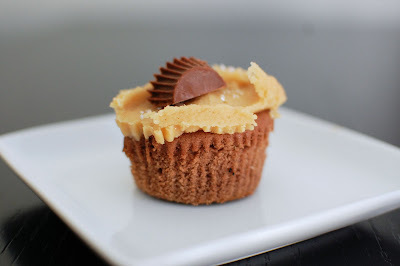 The one topped with caramel buttercream was, dare I say, caramel overload. The one topped with fluff frosting though was delightful. Don't think that this experimentation is exclusive to those who visit her kitchen. Kelly will make pretty much any confection you request, though I would say it is wise to stick with the prescribed varieties. Kelly has worked to perfect them and it shows. The cake itself is wonderful--chocolatey but not intense. It is incredibly moist and is one of the few chocolate cakes that was moist and flavorful enough that I would happily eat it on its own. We did indulge in one more curiosity. 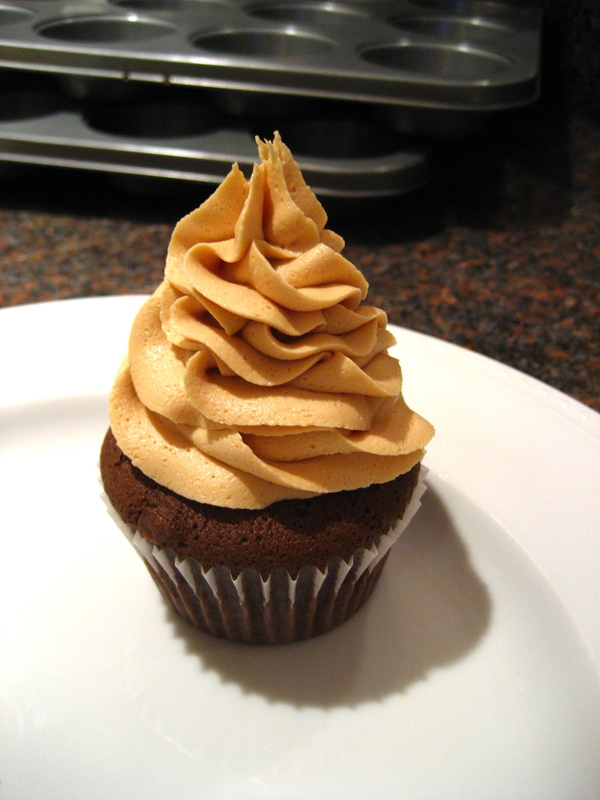 When you have fluff frosting and peanut butter frosting, what logically follows but... a Fluffernutter! This one did not disappoint. The final product: s'mores, peanut butter cup, and salted caramel topped chocolate cupcakes. 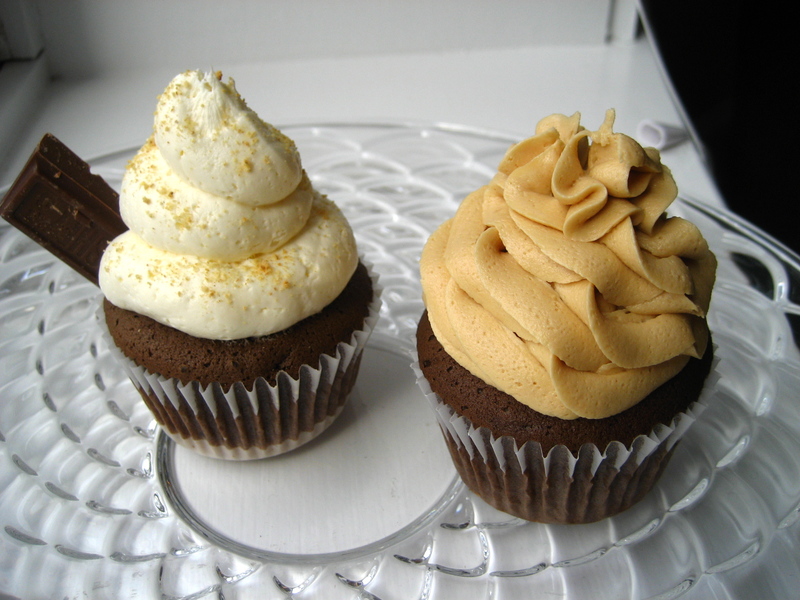 If you live in Boston and are in need of cupcakes, or are just struck with a craving, I cannot recommend Mix Bakery highly enough. 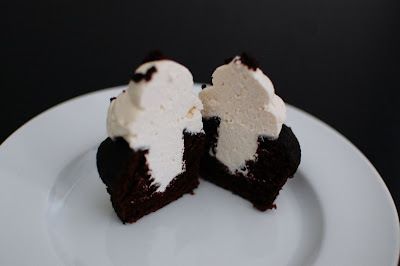 I have loved every cake and frosting combination I have tried. What's more, Kelly is happy to deliver any order placed. 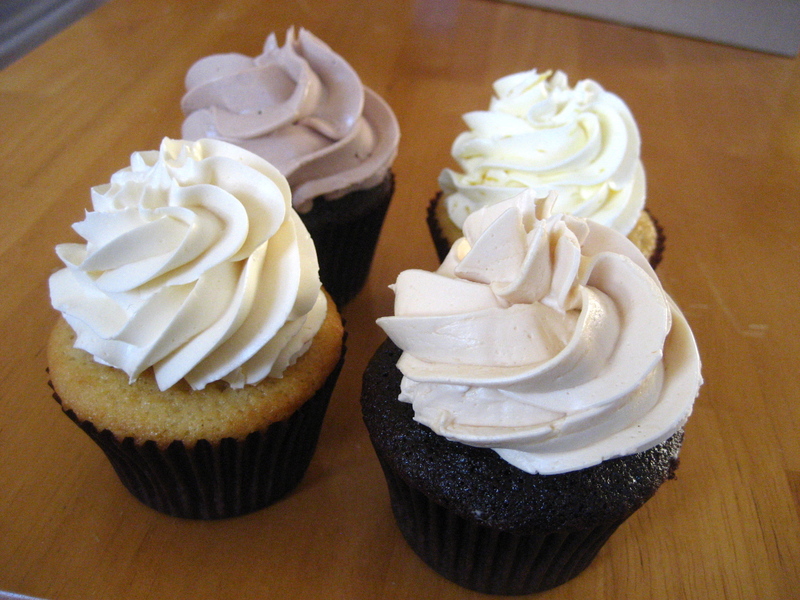 I dream of the day when Mix Bakery has its own shop and I can pop in for a cupcake any time I like. Until then, I will wait patiently (or not so patiently) and order from Kelly at every possible opportunity. 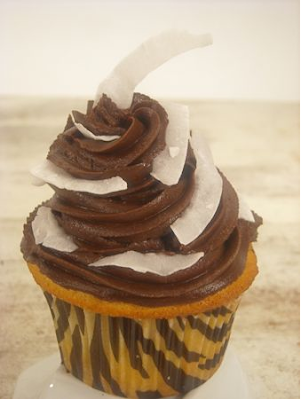 Whether you already know the fabulousness that is Mix Bakery or you have yet to have the pleasure, you will get to enjoy them in less than a month at CupcakeCamp. 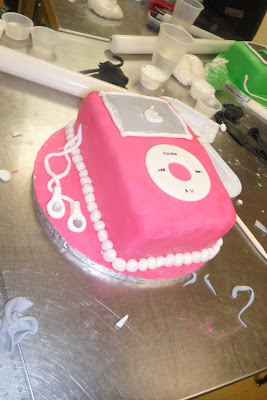 Allow me to introduce you to another one of the professional bakers coming to CupcakeCamp: Cupcakory. 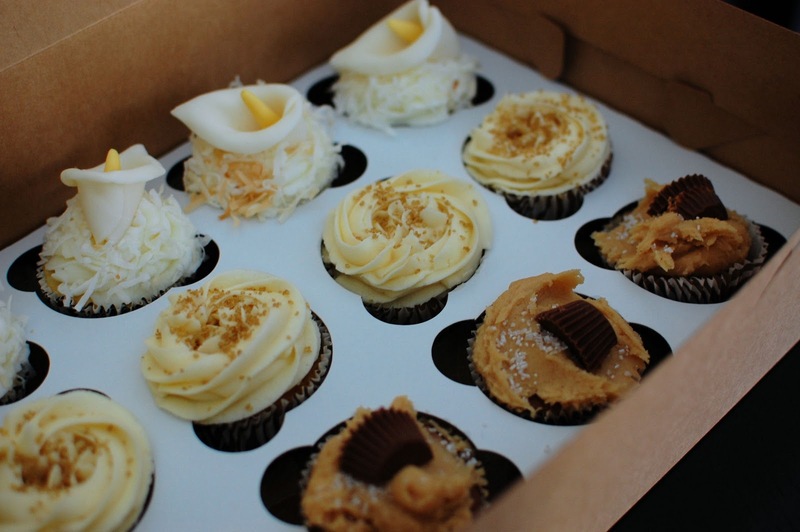 Cupcakory is currently Boston’s only cupcake truck and on any given day you can find owner Diane doling out cupcakes to eager customers from the window of her truck. 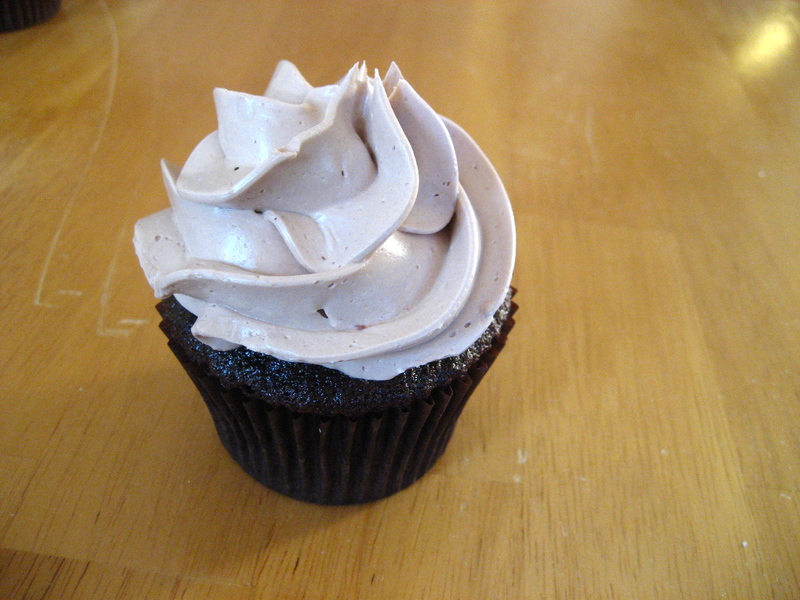 I first tried Cupcakory last summer at SoWa and was blown away by a certain chocolate and salted caramel cupcake. As a little preview of what she plans to bring to CupcakeCamp, Diane provided me with four flavors, one of which was the famed chocolate with salted caramel buttercream. 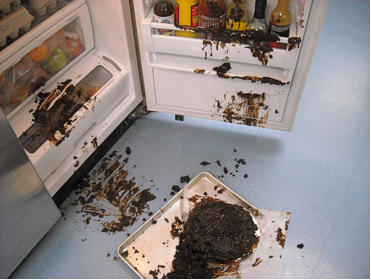 The choclate cake is light and fluffy, not at all dense. The frosting, conversely, is insanely rich–buttery, salty and sweet. 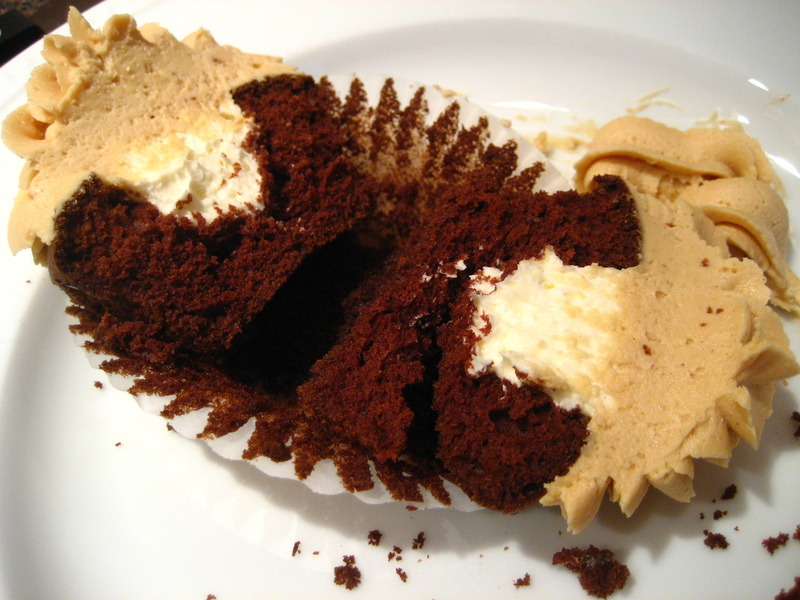 The combination of the rich caramel frosting and the mild and fluffy chocolate cake is perfect. 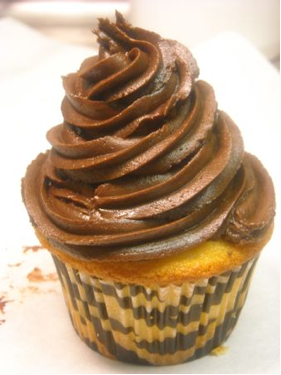 The nutella cupcake has the same moist and springy chocolate cake, topped with a nutella buttercream frosting. 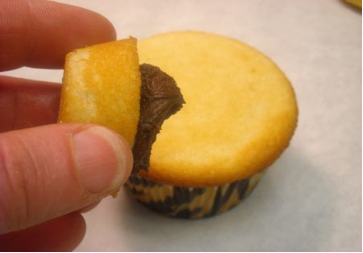 The nutella flavor is very mild, so don’t order it expecting a dollop of pure nutella. 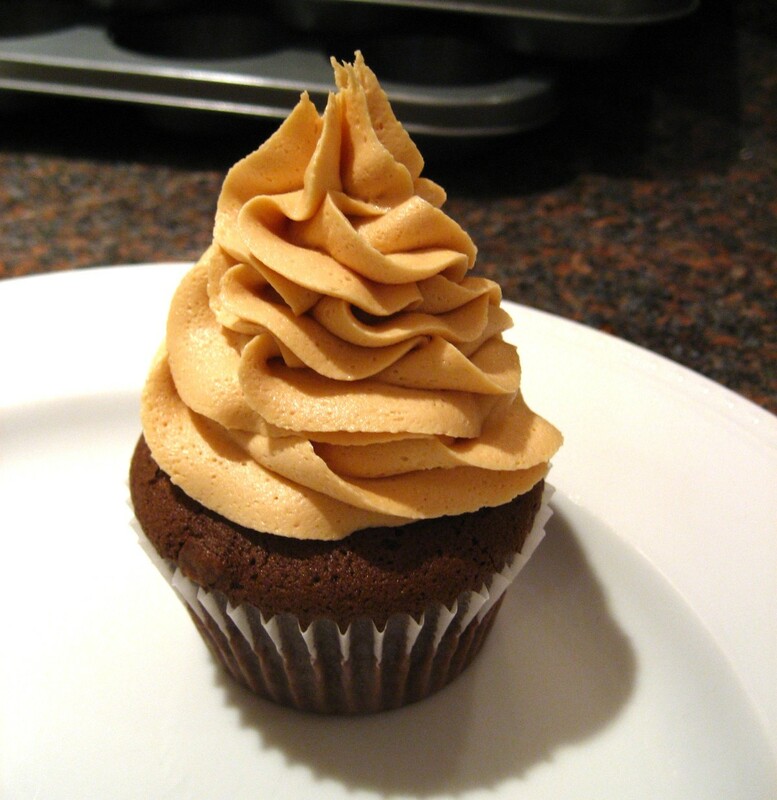 It is a smooth buttercream with just a hint of chocolate and hazelnut flavor. A new one to me was the vanilla-vanilla. Diane did not initially offer this flavor, but after customers made numerous requests for it, she decided to try her hand at it. 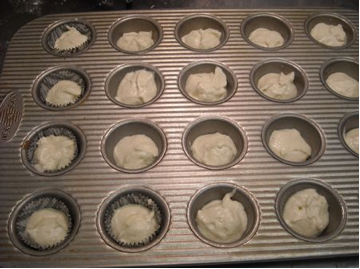 She said she experimented for a while until she found the perfect recipe and I can personally attest to its quality. 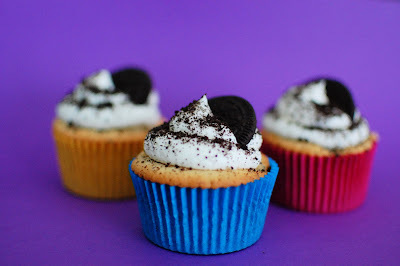 Vanilla cupcakes are hard to execute because there are no other strong flavors to mask any flaws or inconsistencies in the cake. This was a perfect pure butter cake with an airy but substantial crumb. The top firm and lightly chewy with perfectly caramelized edges. 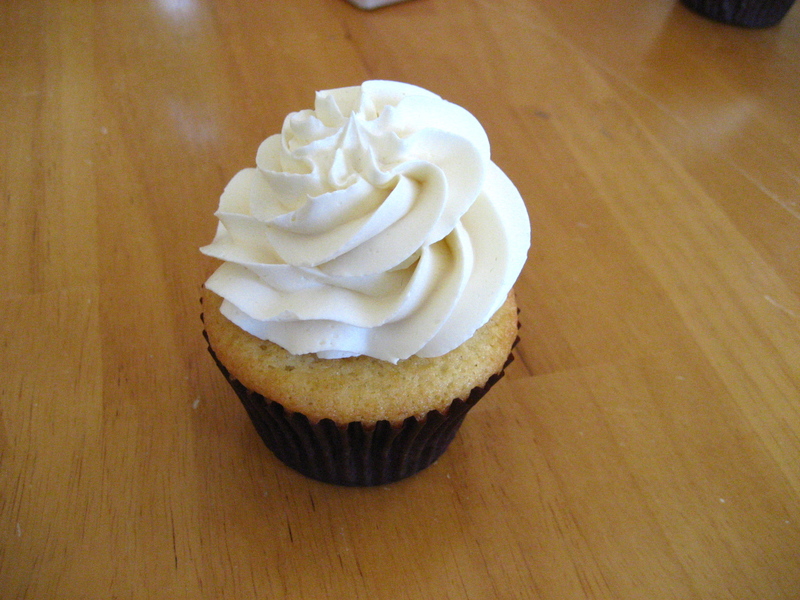 The fourth cupcake was a lemon cake with lemon frosting. If you are looking for a sugary and tangy lemon bar in cupcake form, this is not for you. 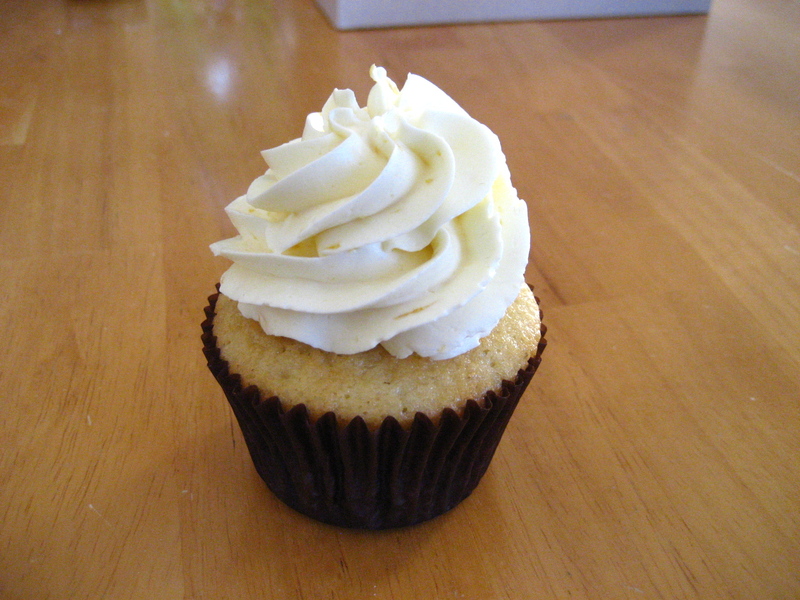 The frosting was subtly sweet and flavored with grated lemon zest, which you can see in the photo if you look closely. 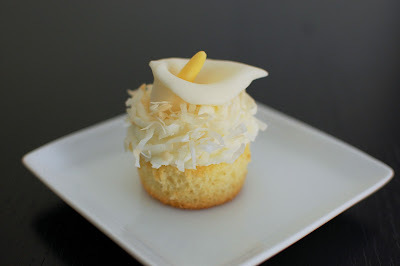 I almost want to call this a lemon-infused cupcake. 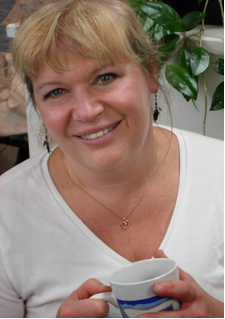 Diane prides her business on using almost all New England products, and organic where she can. The flour is unbleached, the eggs (organic), buttermilk, and butter are all New England based, with the milk and cream coming from Massachusetts. Any fruit is either local or organic, sometimes both. She uses quality ingredients and it definitely shows in the end product. 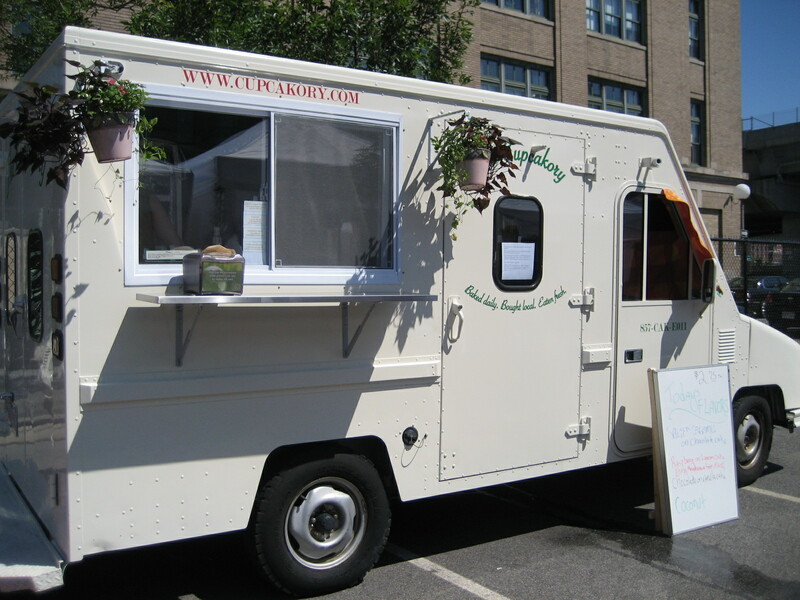 Be sure to follow Cupcakory onTwitter for updates on where the truck is parked.